What does it mean for future jobs? Pwc have been leading the way with research on artificial intelligence, they define AI as “a collective term for computer systems that can sense their environment, think, learn, and take action in response to what they’re sensing and their objectives.” The potential for AI is limitless, but it’s important to remember that just because we have the technology we don’t have to use it for everything. Pwc’s report confirms that despite advancements, 77% of those surveyed would still prefer to see a doctor in person rather than using a robotic start kit at home. The report also explains that the AI wouldexpand the potential for economic growth in other areas, creating as many jobs as it takes away. It’s evident that AI is going to have an impact on hiring in the future but how can you use this to your advantage? Many companies have already taken the first steps with automated services. Chatbots to help answer online queries are the crossover technology leading us from automated machines, to one that thinks for itself. How could you use AI to make the selection process more manageable? 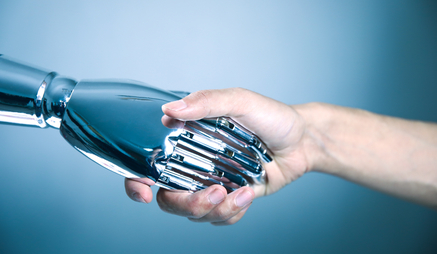 Technology experts HR Technologist explored the options which include using AI for candidate screening, matching and sourcing. Their study explains the time that can be saved when screening by using keyword searches manned by an intelligent machine to find suitable candidates. How widely this technology will be used is yet to be seen but by keeping abreast of the latest developments you will be able to determine if these are suitable for your company. If you’re looking for talented graduates to hire, sign up to GradLink today. Our free service links you to a database of thousands of students searchable by keyword, language, subject areas and more.